His beautiful full lips tempted her with a smile. About the Author During her high school years, Kelsey Ketch could always be found tucked away in a little corner of the hall or classroom, writing her fantasy worlds and creating illustrations and maps. Today is no different, except now she’s writing in the break room at her office building or at the tables of the Barnes and Noble Café in Cary, North Carolina. She is also an avid reader, a part-time book blogger at Ketch’s Book Nook, and lives with her two orange tabbies and awesome and humorous flat-mate. 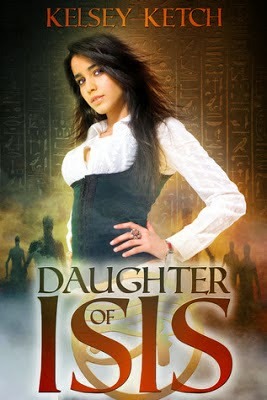 Daughter of Isis is her debut novel. Labels: BookBlitz , Daughter Of Isis , Excerpt , Giveaway , Mythological.